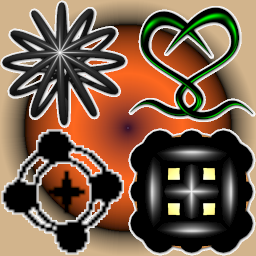 I continue making new icons, but I am forgetting adding my older icon sets to this Sirea's Gallery blog. Icon sets here aren't arranged by time, but by my mood. The first icons belong to Horror theme. They are icons which invoke terror and as icon sets, they haven't the same style.